Revolut, a digital-only bank, has signed an agreement with ClauseMatch to adopt its regulatory technology to streamline management of internal policies, controls and regulatory compliance, following a two-month trial period. The company’s CEO and founder Nikolay Storonsky says that one of the main reasons the company was able to scale so fast is due to its approach to compliance. 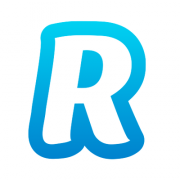 Revolut claims to be signing up over 250 businesses and 9,000 customers per day. In other news today (29 January), Revolut unveiled his plan to build a global licensing team that will be responsible for securing banking, trading and credit licences.